This 2,424th post was filed under: Photo-a-day 2019, Exams, Health, Medicine, Teaching, University. 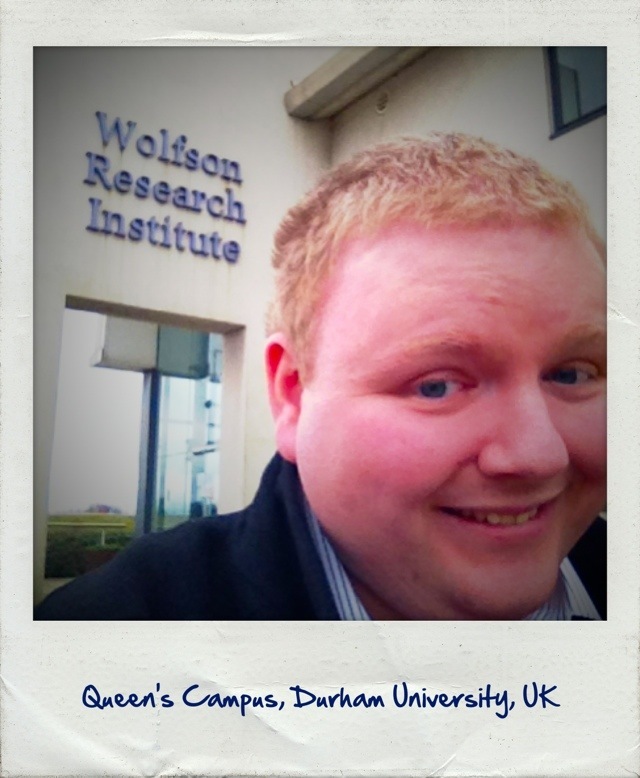 Here, I’m outside the Wolfson Building at Durham University’s Queen’s Campus in Thornaby – just a short hop across the river from Stockton. This is a very important building. It is not only home to the North East Public Health Observatory, it’s also the building where an informal reception for new medical students was held (at least in my day!). It was at that very reception in this very building that Wendy remembers first seeing me across a crowded room… although we didn’t formally meet until a couple of days later. This 1,960th post was filed under: Scrapbook, Stockton-on-Tees, University. Published on 23 May 2012. I spent five years at university studying medicine, yet somehow remained completely unaware of the existence of referencing software. I don’t know how this came about, but I manually referenced every single assignment I did during my medical degree – and so did Wendy. How the existence of EndNote in particular passed us both by, I’m not entirely sure. By the time I embarked on my Masters in 2010, I was aware of EndNote, but we were far from friends. The couple of times I’d tried to use it, I’d had nightmarish corruption errors, and had always quickly reverted to referencing by hand. With the prospect of a whole load of Masters assignments and a dissertation looming, I thought that there must be a better way. And I discovered Mendeley. Mendeley is an excellent free reference manager. It stores your reference library in the cloud, so that you can (should you so choose) even access it via an iPhone app. I never really found a use for that feature, but Mendeley did see me through a number of Masters assignments. But Mendeley, like Endnote, has an occasional irritating moments of stubbornness, where it will claim that a document connection has become corrupted, or some such nonsense, and will require a bit of sorting out. Generally, copying and pasting the entire text into a new document did the trick, but the frequency with which this happened make me nervous. Then, I discovered Papers 2. It’s completely brilliant. I actually don’t really understand how it works, but it doesn’t rely on flaky plugins, or any requirement to use specific word-processing software. It just works, has fully cite-while-you-write functionality with a global shortcut, and is a joy to use. It isn’t free, but does have a free trial, and offers a generous academic discount for students. It has an iOS app too, but I’ve never used it, as I still don’t understand why I’d want that functionality. It’s available on Windows as well as Mac, though I’ve never tried that version. Before using Papers 2, I’d thought that the whole software category of reference managers was, by definition, flaky and unreliable. Yet I don’t think I’ve ever seen Papers 2 crash, and it has certainly never messed up the references in an actual written document. Papers 2 is a total, total joy to use, both for organising papers, and for citing them. It’s an app I cannot recommend highly enough for anybody who does even vaguely academic writing. It’s completely brilliant. This 1,658th post was filed under: Favourite desktop apps, Technology, Academia, Mac, Medicine, OSX, Papers 2, University. 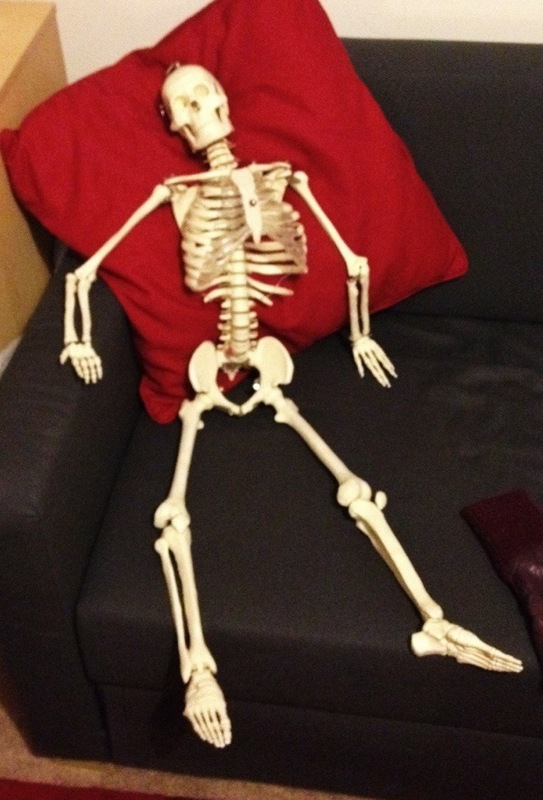 Meet Quiescence, my slightly under-nourished buddy from medical school! Quiescence’s best friend, Buttons, stands proudly atop a bookshelf. But when we moved into this flat, we never quite found anywhere for poor Quiescence – and so he’s been lazing on the sofa-bed ever since! He doesn’t seem to mind…! This 1,527th post was filed under: Photo-a-day 2012, Medicine, Skeleton, University. Published on 14 February 2012. This is the Ebsworth Building at Durham University’s Queen’s Campus. It was in this building that I sat through most of my pre-clinical medicine lectures from 2003 to 2005, and returning here always feels a bit nostalgic. This 1,525th post was filed under: Photo-a-day 2012, Stockton-on-Tees, University.